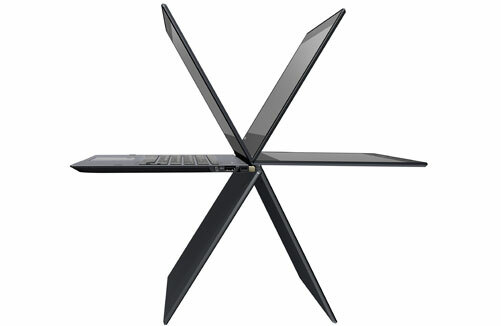 World’s Thinnest and Lightest Business 2-in-1 Laptop to Utilize Full Power 7th Generation® Core™ Processors. The power of an enterprise-class laptop. The freedom and convenience of a tablet. The Portégé X20W series offers innovative 2-in-1 versatility in a supremely crafted Onyx Blue chassis, along with outstanding battery life and an exceptional handwriting experience. 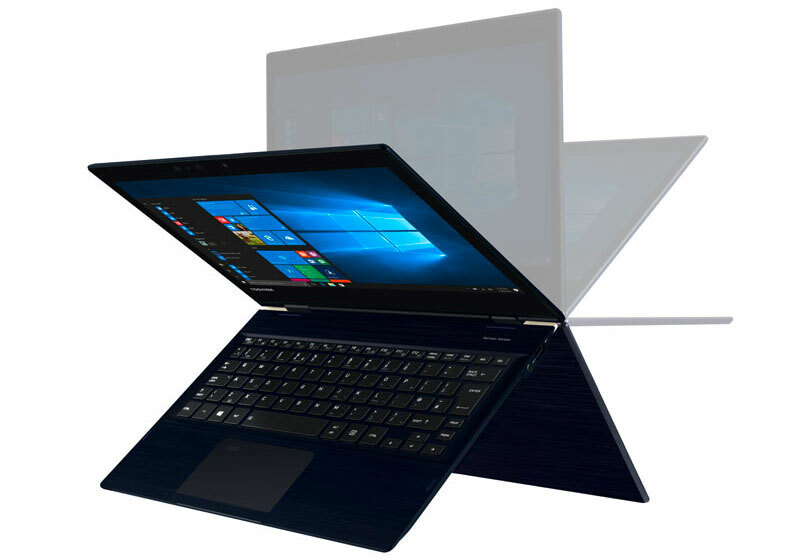 The Portégé X20W is elegantly engineered and has subtle 360-degree light gold hinges, which allow it to transform from a high-powered laptop into an incredibly versatile tablet, simply by rotating the display. Coupled with Toshiba’s new Hybrid Air Cooling System to keep things running smoothly, the Portégé X20W represents the height of engineering excellence. With a battery life of up to 16 hours* and step charge technology that delivers five hours usage from a 30 minute charge*, the Portégé X20W is built to maximise your productivity. When changing modes, the laptop smartly switches system settings and uses a smart-locking feature to protect the keyboard and prevent mishaps. Keep your business critical data safe with advanced security features of Portege X20W. SecurePad™ with Synaptics® Natural ID fingerprint sensor built right into the computer’s Touchpad reader and IR-camera for face authentication through Windows Hello or Intel® Authenticate allow you to quickly login to your device securely. Toshiba’s own built-in BIOS and TPM 2.0 encryption provide an added layer of security so you can have a peace of mind. To achieve its slim profile, the Portégé X20W has a USB Type-C™ port, USB 3.0 port and headphone/mic combo port. 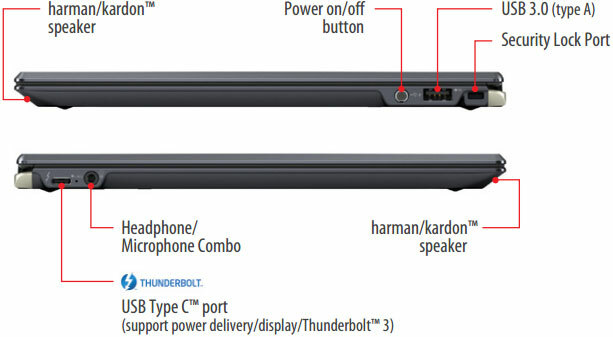 As the industry’s new universal standard, the USB Type-C port on the Portégé X20W features reversible plug orientation and supports Display, Power Delivery and Thunderbolt™ 3 with speeds up to 40Gbps5. Designed, engineered, manufactured and rigorously tested in our dedicated facilities, the Portégé X20W delivers quality that is built to last. 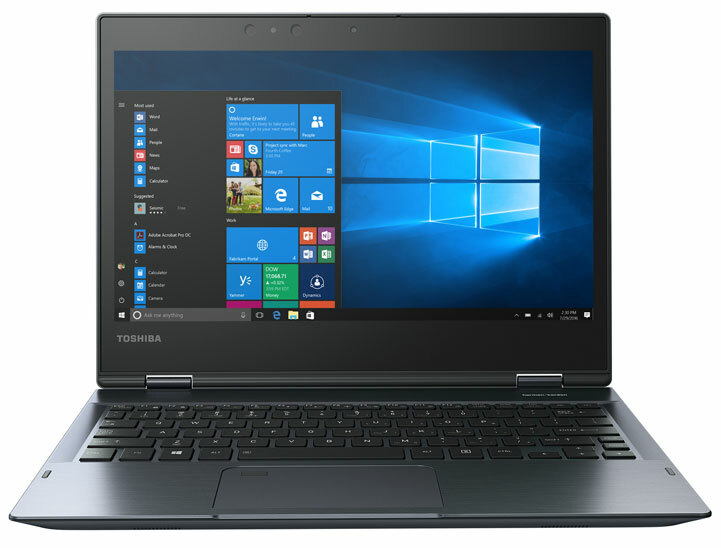 Toshiba’s exclusive EasyGuard™ suite offers top-notch data protection and physical durability when it comes to privacy or bump and spills on the road. Plus, like all Toshiba business-class laptops, it is subjected to comprehensive Drop and HALT testing, for complete confidence and peace of mind. With a 12.5-inch diagonal, Full HD (1920 x 1080), multi-touch wide viewing angle display packs over 2 million pixels onto the screen, text is sharper and easier to read. Color and quality is spot on. Reinforced with all-new Corning® Gorilla® Glass 4, your Portege X20W is equipped to withstand the shock of accidental bumps & scratch. Experience premium audio quality via Harman Kardon® stereo speakers and DTS Sound™ software, exclusively custom-tuned to adapt to the rotational view of the display, delivering a robust, crisp and natural audio from every angle.